In this video from Bärenreiter publishing house the music editor Jonathan Del Mar gives us an insight into the painstaking process of scrutinising Beethoven’s original scores, and the secrets that lie within. With contributions from pianist Igor Levit, Sir Simon Rattle, the Pierrot Quartett and the Berlin Philharmonic. 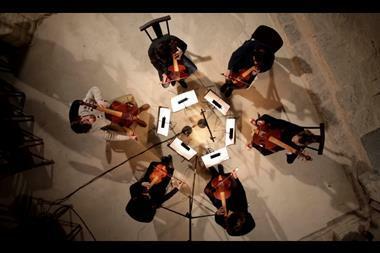 The 12 Cellists of the Berlin Philharmonic won a 2017 ECHO Klassik award for Hora Cero, their first album as an ensemble in six years. 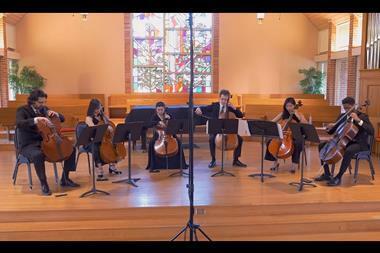 In this video, the Banff Competition winning Dover Quartet performs the Adagio from Samuel Barber’s String Quartet in B Minor, op.11 – a piece which has gone on to achieve huge popularity in its string orchestra arrangement as the Adagio for Strings . 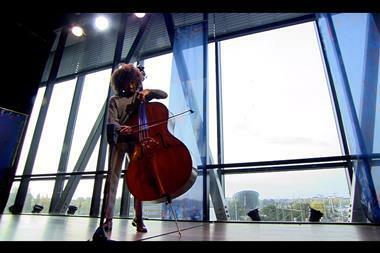 From the HeifetzPEG (Program for the Exceptionally Gifted) comes this video of 12-year old South Korean student SoHyun Ko playing the first Caprice by Niccolò Paganini. It was filmed on 26 July 2018 at a HeifetzPEG Showcase Concert at Mary Baldwin University’s Francis Auditorium in Staunton, Virginia.